The first new residential building on this stretch of Fifth since the 1950s, 61 Fifth Avenue is also possibly the only one designed by a woman. The design by architect Alta Indelman replaces the fire-ravaged former Schrafft’s restaurant of 1938 with a sedate new structure that references the neighborhood’s aesthetic. 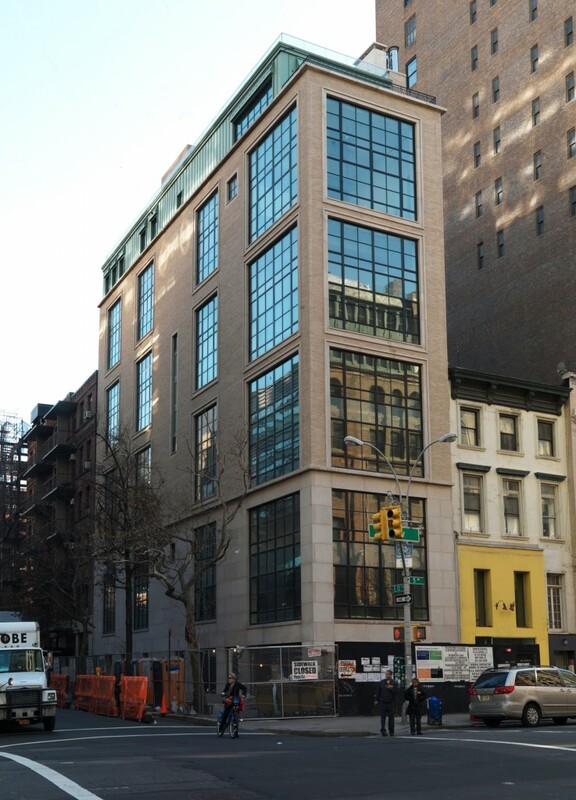 The enormous double-floor studio windows are a nice touch, echoing those around the neighborhood and particularly at 51 Fifth Avenue, a block south. See our upcoming installment of “Faces on Fifth” this Monday for a closer look at 61 Fifth and a talk with Ms. Indelman! Great looking building! I love the floor to ceiling windows. Will definitely stop by to see it when I can. Congratulations to Alta! Great building. We’ve been admiring it every time we walk by. An interesting contrast to the New School building across the street.